You helped defeat the Galactic Empire. Now you are beset with dark forces, and as Luke Skywalker, you can help bring justice back! 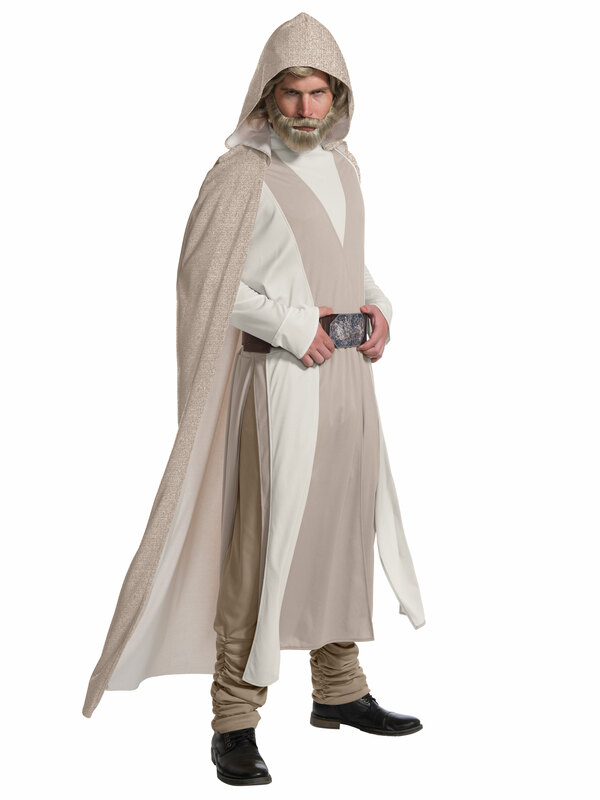 Go disguised this Halloween as the famed Luke Skywalker in this Star Wars Episode VIII - The Last Jedi Deluxe Men's Luke Skywalker Costume! You’ll achieve a classic Star Wars look when you wear the tan hooded cape, robe with attached top, pants and belt! Shop our entire selection of Star Wars costumes for Halloween!